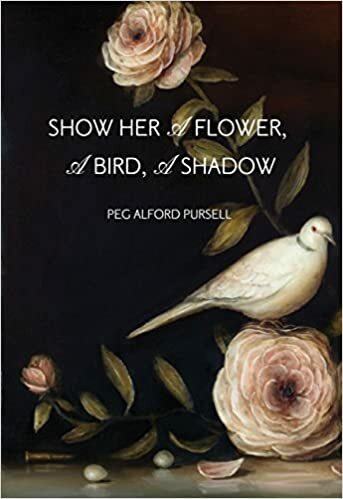 Jonathan Cardew kindly invited me to review Peg Alford Pursell’s collection, Show Her A Flower, A Bird, A Shadow (WTAW Press, 2017) for the Microviews feature of Bending Genres, the energetic and quirky journal/workshop/retreat enterprise run by dear friends Robert Vaughan and Meg Tuite. It was an honor to engage so intimately with Peg’s beautiful book – and a challenge to crystallize my impressions within 100-300 words of blog real estate. You can read my tiny review here.